Thanksgiving is almost here, and I know you're probably busy getting ready for it. Perhaps you're feeling a bit overwhelmed or stressed out? 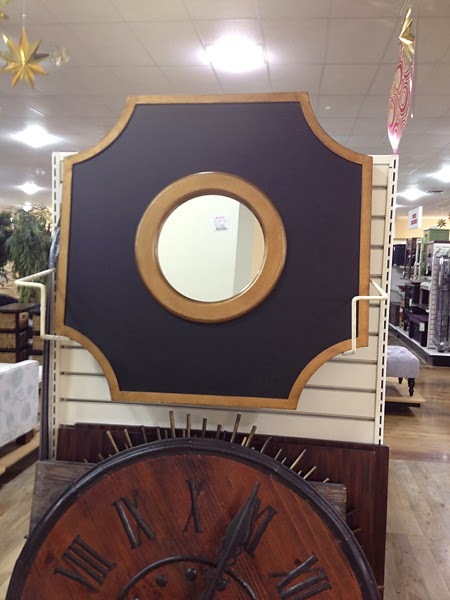 Here are a few things that caught my eye at HomeGoods the other day. 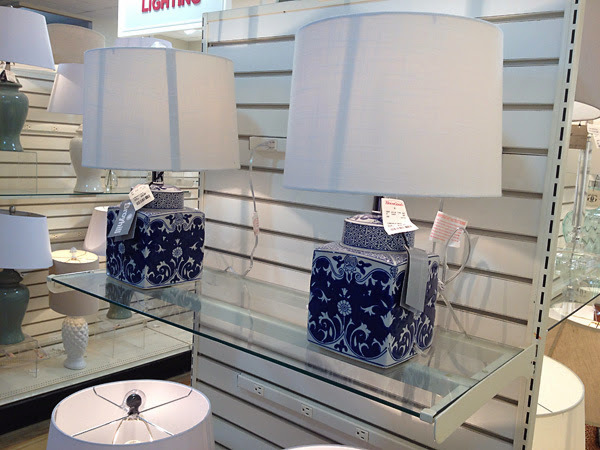 You will notice I photographed quite a few blue and white objects, as I was shopping with my mom's dining room in mind. These tufted storage ottomans were available in red and brown, too. 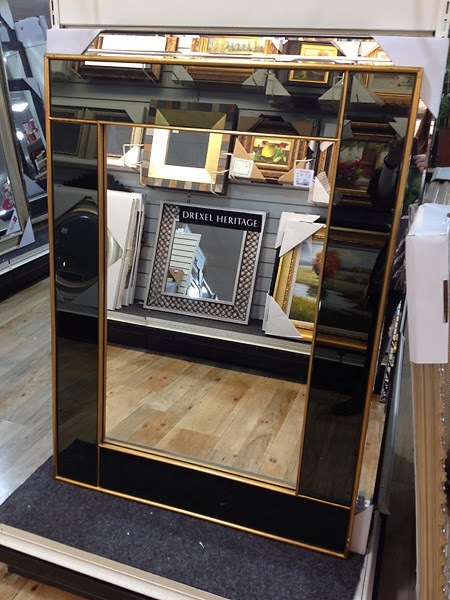 That black and gold mirror was calling my name. I had to ignore him as part of my 12 step program for mirror addiction. This was a pretty substantial ginger jar. I came home with two smaller ones. They don't have a large selection of them, but I've scored 4 in the past two weeks. Sorry about the blurry iPhone pics. I'm sure someone must have been shoving me in the back with a cart when I snapped this one. 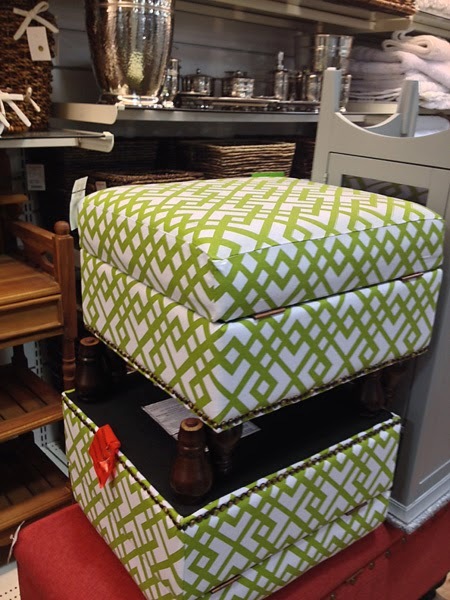 These little ottomans looked fresh and fun. 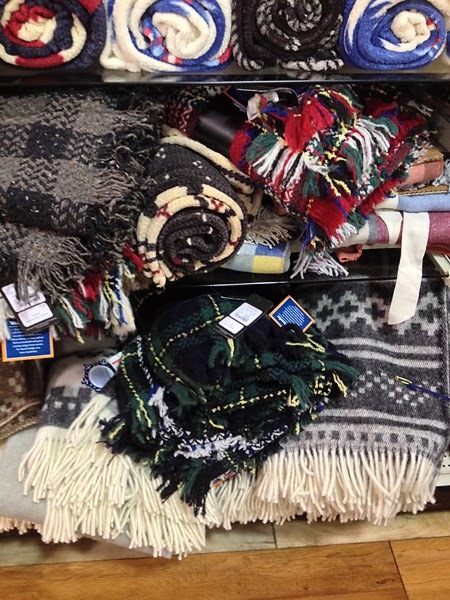 If you need a plaid blanket, this is the time to get one. I searched for months when I needed one for my son's tween room. Now they are everywhere. So it goes. Lest you think I only shop at HomeGoods, I also hit the local Tuesday Morning yesterday. 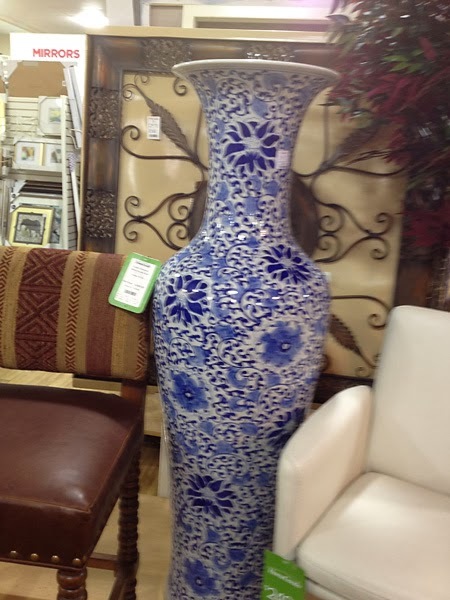 I find it to be very hit-or-miss, but I have found a couple of items there lately that I am totally digging. 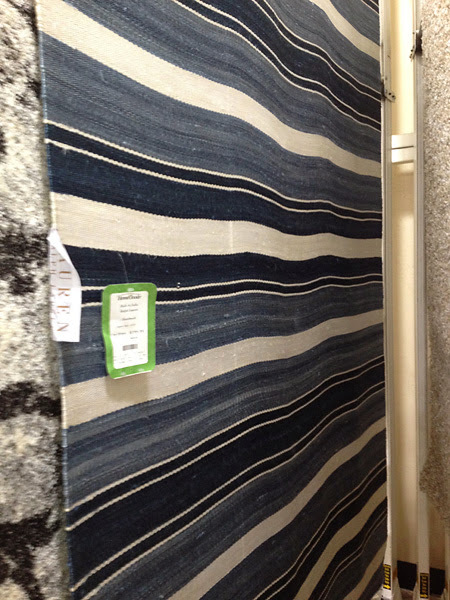 I didn't take a picture, but I bought two seagrass doormats for seven bucks each. Score! Also, I was surprised and delighted to see these.. 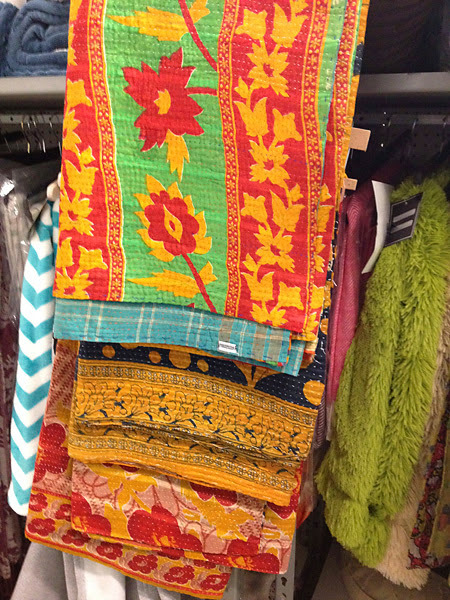 I've been searching high and low for a kantha, but sadly, central Indiana is not an international shopping mecca. 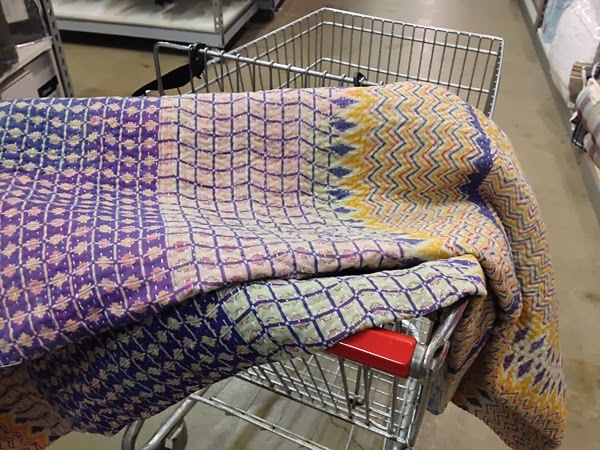 It's hard to find vintage ethnic textiles. Who woulda thunk that Tuesday Morning would be so cutting edge? 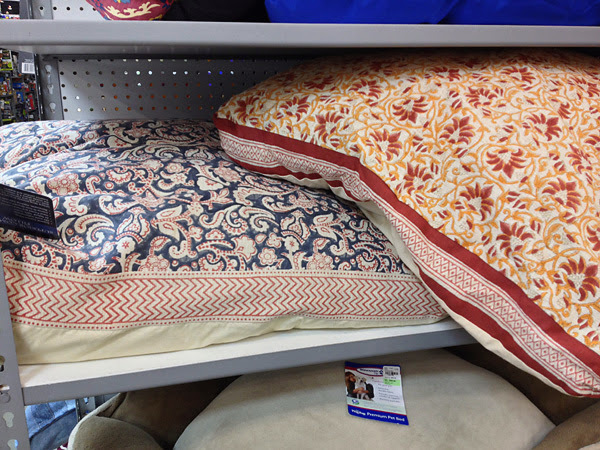 I liked the pattern of these dog beds. I didn't get one though. Last time I brought home a new dog bed, Lucky peed all over it. This is my life, people. Well, I hope that little shopping trip calmed your nerves. Now you can get back to your Thanksgiving preparations. Oh. You gave me my Homegoods fix!! Any time I'm anywhere else...Kohl's, Target, whatever, I tell myself, wait, Homegoods will have a better deal. Good luck with your shopping. Lately I've just been looking at smaller things for Christmas...serving dishes, candles and the occasional elf. Hey! I enjoyed going shopping with you. I'm stuck inside with cold rainy weather. I love shopping at those stores. I saw a lot of pretty things you found. Tuesday Morning is surprising sometimes aren't they? They have the best deals though! 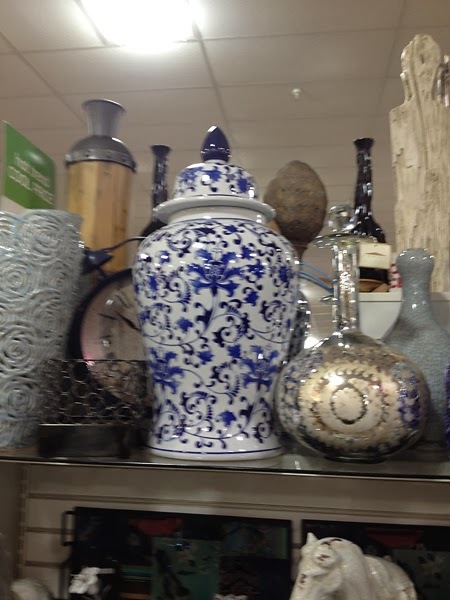 I went to homegoods last week to look for those ginger jars you scored for your mother's dining room. I may have taken two of my sick kids with me. And their tissue boxes. Allegedly. Alas my store didn't have them but thanks for the tip. I will keep stalking them :) Happy Thanksgiving! Thanks for the shopping. 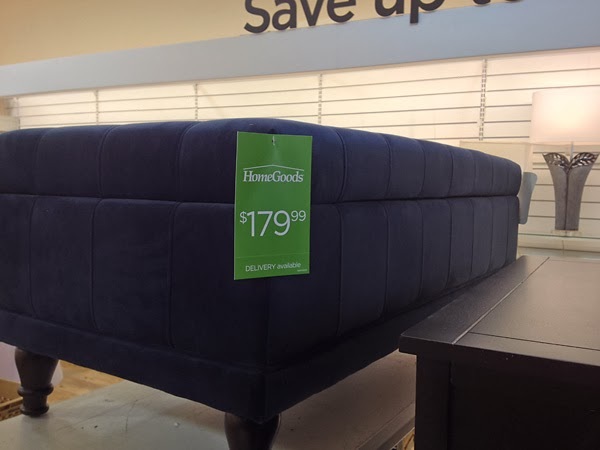 I don't have a Home Goods near me, alas. Happy Thanksgiving! Such fun shopping with you. I love the dog beds, too...but not if your dog won't...I think my dog would like it though.